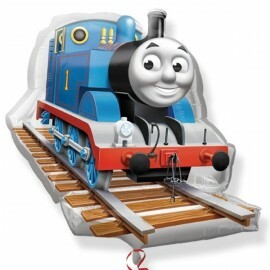 22cm Thomas The Tank & Friends (Flat) All Aboard Foil Balloon (Requires air inflation, heat sealing and balloon cup & stick) Each..
22cm Thomas The Tank & Friends (Inflated) All Aboard Foil Balloon (Supplied airfilled on balloon cup & stick) Each..
45cm Thomas The Tank Engine and Friends Foil Balloon (Self sealing balloon, requires helium inflation) Each..
45cm Thomas The Tank Engine All Aboard Foil Balloon (Self Sealing Balloon, Requires Helium Inflation) Each..
45cm Thomas The Tank Happy Birthday Foil Balloon (Self Sealing Balloon, Requires Helium Inflation) Each..
70cm Sing-A-Tune Birthday Thomas Foil Balloon (Plays - Thomas Sings Happy Birthday) (Self sealing balloon, requires helium inflation) Each..
Airwalker Thomas The Tank Engine (91cm Wide x 78cm High) Foil Balloon (Self sealing balloon, requires helium inflation) Each..
Airwalker Thomas the Tank Engine. 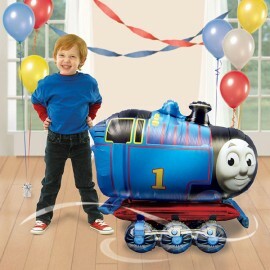 Airwalker Thomas the Tank Engine. 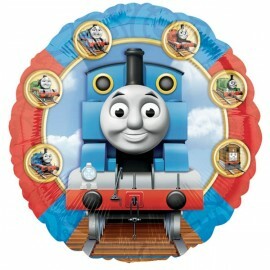 63cm x 58cm Foil Balloon (Self sealing balloon, Requires helium inflation) Each..
Mini Shape Thomas the Tank (Flat) Foil Balloon (Requires air inflation, heat sealing and balloon cup & stick) Each..
Mini Shape Thomas the Tank (Inflated) Foil Balloon (Supplied airfilled on balloon cup & stick) Each.. 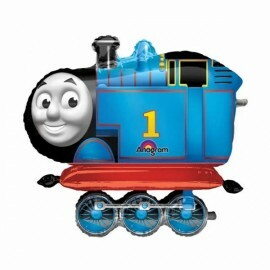 Shape Cubez Thomas The Tank Engine 38cm x 38cm Foil Balloon (Self sealing balloon, Requires helium inflation) Each.. 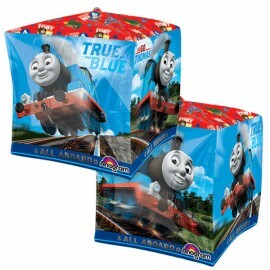 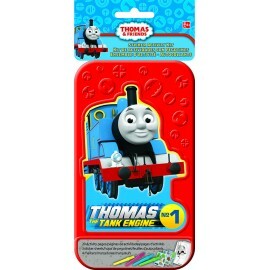 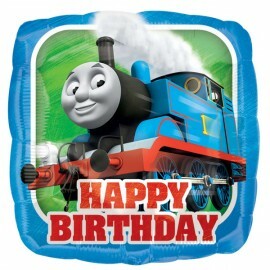 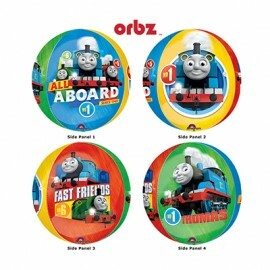 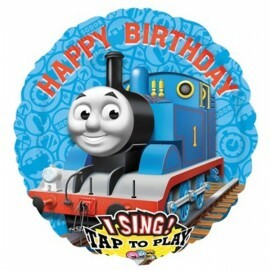 Shape Orbz Thomas The Tank All Aboard 38cm x 40cm Foil Balloon (Self sealing balloon, requires helium inflation) Each.. 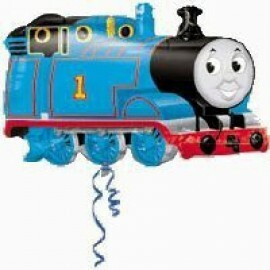 Shape Thomas The Tank Engine #1 76cm x 51cm Foil Balloon (Self sealing balloon, Requires helium inflation) Each.. 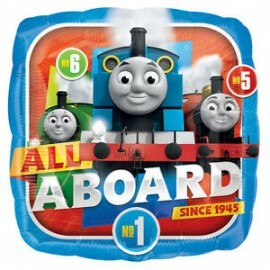 Shape Thomas The Tank Engine 74cm x 69cm Foil Balloon (Self sealing balloon, requires helium inflation) Each..
Thomas & Friends Sticker Activity Kit Plastic Case Includes 20 Activity Pages, 3 x Sticker Sheets & 4 x Colouring Pens Each..